Do you have a few Bitcoins burning a hole in your pocket? Actually, you won’t find Bitcoins in anyone’s pocket. The emerging form of currency is entirely virtual. The truth is, most people don’t know two bits about bitcoins. Sir Richard Branson does. In fact, if you want to jump aboard a Virgin Galactic space flight, you’re welcome to cover your tab with bitcoins. The online travel firm CheapAir takes bitcoins as well. Being that bitcoin is catching on in the travel business, you might book a flight to Singapore where Rikvin, one of the nation’s leading company registration specialists, gladly accepts bitcoin payments. Rikvin is the first company to do so. 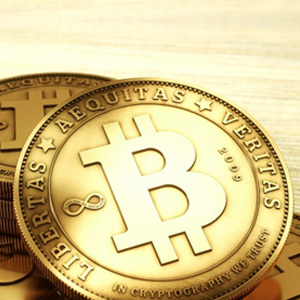 Bitcoin emerged in 2009 as a digital currency, meaning it isn’t issued or regulated by a government. Though the practice of trading in bitcoin is in the early stages, today thousands of merchants accept Bitcoin payments. Users of Bitcoin exchanges buy and sell bitcoins using local currencies. Trades actually impact the bitcoin economy, causing bitcoin value to fluctuate. Some see bitcoin as the future of financial exchanges. CoinDesk, a leader in digital currency, reported The Monetary Authority of Singapore is 100% open to bitcoin commerce and believes the individual business should be free to set its own policies. The authority will not interfere with bitcoin adoption. David Moskowitz, founder of Coin Republic, a company which facilitates bitcoin exchange, hopes Singapore businesses will embrace bitcoin as an alternative to traditional wire transfers. He points out they’ll saving a big pocket full of change by doing so.